Roxy Manning, Ph.D., a licensed clinical psychologist and CNVC Certified Trainer, has been using NVC in her psychotherapy practice since 2003, and has been formally teaching NVC since 2005. In addition to supporting clinicians and others seeking to improve their ability to serve clients from diverse backgrounds, Roxy has worked directly with programs and people working towards social change in international settings. This work includes supporting former rebel soldiers working for grass-roots peace organizations in Sri Lanka and artists seeking to contribute to greater acceptance of homosexuality in Japan. Roxy has worked with businesses and non-profits to increase their ability to function more cohesively as a team and to better understand and respond to client needs and requests. Roxy has combined her life experience as an Afro-Caribbean immigrant with her extensive academic and professional training into a passion for supporting both larger social change and individual healing and growth. Roxy is the Executive Director for BayNVC. She is also the leader trainer for BayNVC’s NVC Leadership Program. She was lead organizer and trainer for the NY Intensive Residential Training in NVC through 2014 and is now founder of the West Coast Intensive in NVC. 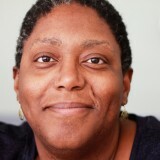 She is co-founder and trainer for the NVC and Diversity Retreat.